MTO | Nunobiki Manufacturing Co., Ltd.
We believe proper communication results in customers receiving products that suit their needs, so we accept orders from just one sheet. 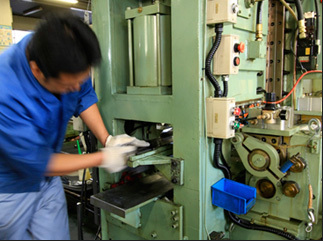 Handling everything from making the dies to actual production enables us to offer original products and manufacture products developed by our customers. We have stock of more than 2,000 dies, so we are always ready to provide customers with a wide variety of the products they want. Since we develop all our production equipment, we can offer profiling services after processing or punching special screens. The customer provides detailed product specifications along with any designs or samples. If we are provided with extra details, such as the product’s purpose, we will use the optimum process to produce the screens. We make a sample based on the information provided then meet with the customer to discuss final adjustments to the specifications. We manufacture the product based on the final specifications. We can also profile and weld screens, so inquire for more details. The products are delivered when finished.